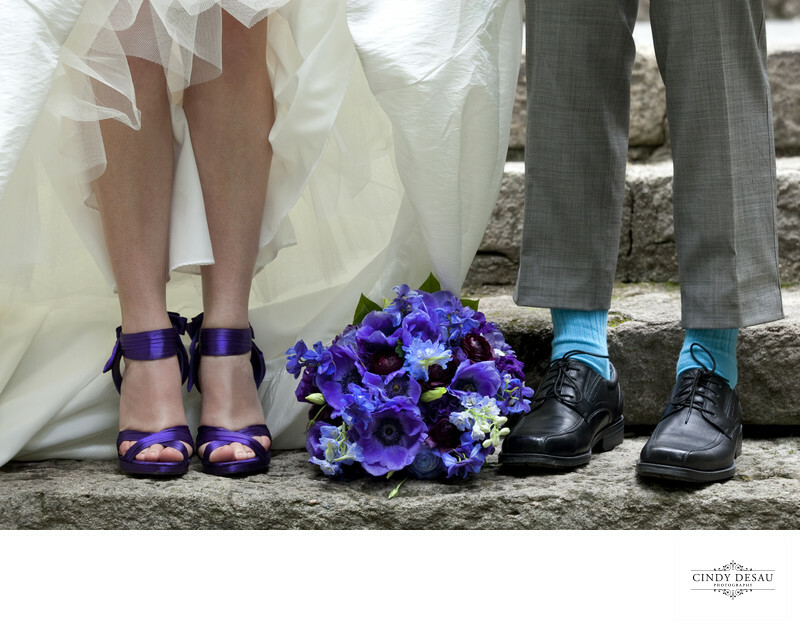 I made this whimsical wedding detail photo to showcase the bride’s awesome deep purple heels and the groom’s turquoise socks. Look how they exactly match her bridal bouquet! These colors also stand out because of the location I chose to make the photograph; the neutral background of the stone steps. Haha; maybe I should mention that the groom’s suit pants were not too short; he was holding them up so we could see the his cool socks!